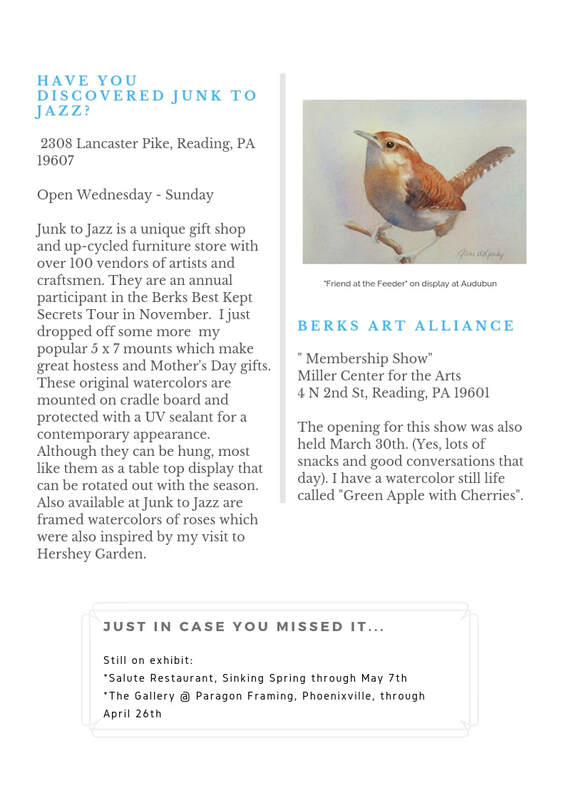 Jane also participates in membership shows with the Philadelphia Watercolor Society, Berks Art Alliance, Lancaster Art Association, and the Warehouse Studio. In addition, she exhibits in a number of community based shops and venues. Jane became fascinated with the dynamic qualities of watercolor painting over a decade ago, and has continued to enjoy exploring the medium through classes, workshops and self-guided experimentation. Recently she has expanded her studies with oils. In either medium, still-life, botanical and wildlife are frequent subjects, often in in a close-up format. She has served on the board for the Pennsylvania Watercolor Society and the Berks Art Alliance. Jane works from her home studio in Pennsylvania.